It’s worth mentioning that the bottle of water will cost the same price as the MP3 player. 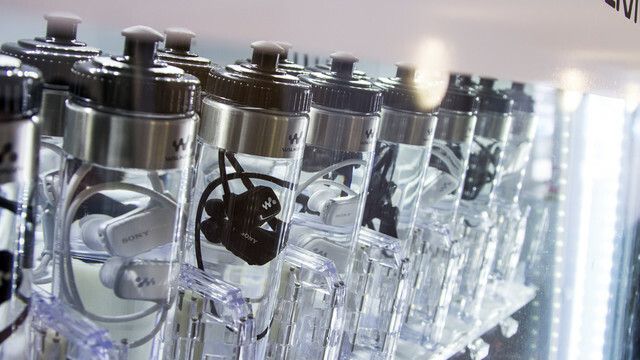 Sony’s W Series Walkman MP3 player has an interesting marketing tool that highlights its waterproof nature: Sony has decided to package it in a bottle of water. It’s a brilliant way to tout the waterproof nature of the device in a way that immediately grabs consumers’ attention. Sony has decided to take it a step further and offer their W Series Walkman’s in water bottles in gym vending machines. It’s a clever new spin on Apple’s iPod vending units. Check out the video below to see it for yourself. What do you think of Sony’s marketing strategy? Are you impressed? Or do you think standalone MP3 players are kind of useless now that every smartphone is essentially an MP3 player, with many more capabilities?